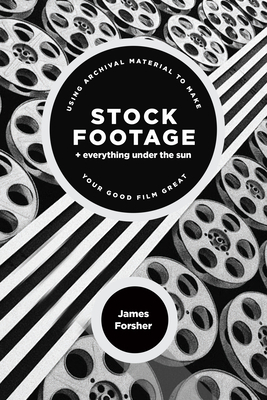 Stock Footage + Everything Under the Sun: Using Archival Material to Make Your Good Film Great (Paperback) | Eagle Harbor Book Co. This is the only book that gives an overview of the use of archival footage and how it played an expanding and crucial role in documentary and TV films. Readers learn how to research images and clear the rights. Part One is an overview of archival footage, reviewing exactly what constitutes archival material and how it fits within the broader history of film and TV production. It also introduces the areas of research and legal parameters to the reader. Part Two examines the variety of styles of entertainment programming that use archival footage, including separate sections on network magazine formats, cable reality shows, webisodes, PBS documentaries, feature-length documentaries, and how documentaries can sway public opinion. Each Part offers interviews with experts who give a realistic idea of how they've used stock footage in their own work. Part Three covers Visual Literacy 101, a short course on how to "read" a film. By looking at only a few seconds of footage, one can deduce some very important facts about the film. This part makes a detective out of any researcher or editor who is determined to find the most authentic setting and context for their film. Part Four discusses how to use archival footage, writing a script that includes archival material, editing archival material, negotiating rights and budgeting constraints.